2011 is coming to an end. Hard to believe, but true. Often, it makes me wonder, where did the 365 days go? The year 2011 has been a happening one for me. So much has happened throughout the year. It tough but in every incident, I saw God's hands working in my life. I know He allows things to happen, good and bad, for a good cause. I just need to sit back and look at things from a different perspective. Indeed, there's something good in everything. It's winter solstice today! Not much significance towards me actually but what's interesting today is that, we've received so much tong yuen (glutinous rice ball) !!! It has never happened before. They were all given by 3 different neighbours. The soup containing the tong yuen were all of different recipes. 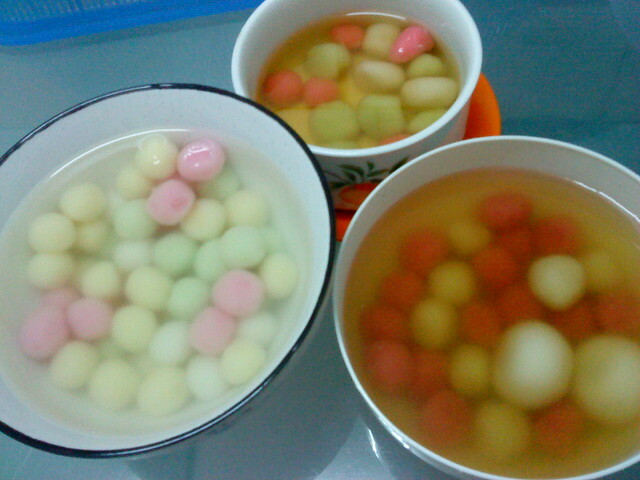 The one on the left is just plain sugar water, on the right boiled with ginger and the other one with longan and red dates. Amazing! The plain one came first. The second neighbour still gave knowing I already had some. The third came without knowing I've already got two bowls! Got some pao's from one of them too. You can imagine, my lunch was taken care of. My dad and I had a tong yuen feast for lunch. I guess my dinner's pretty much taken care of as well. Ahh...I feel so blessed. Makes me wanna sing the song "So blessed, I can't contain it. So much I gotta give it away." Oops.. not in context of the song though. Hehe. That's all for now. Till then ! p/s. 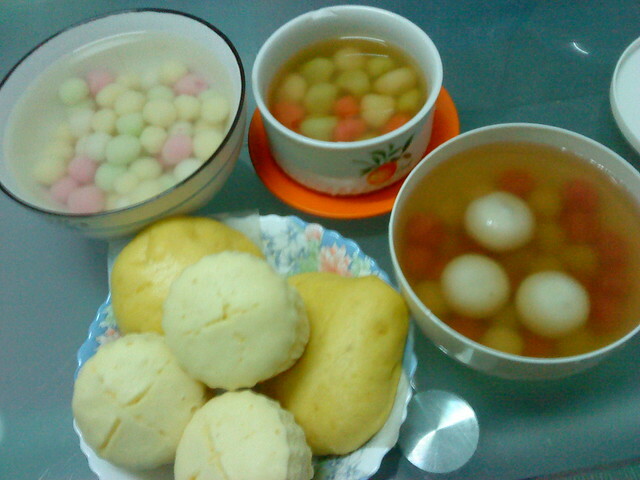 bloated with glutinous rice flour.. Here I am blogging on the island in the middle of the night in a room which isn't mine using a laptop which isn't mine either. 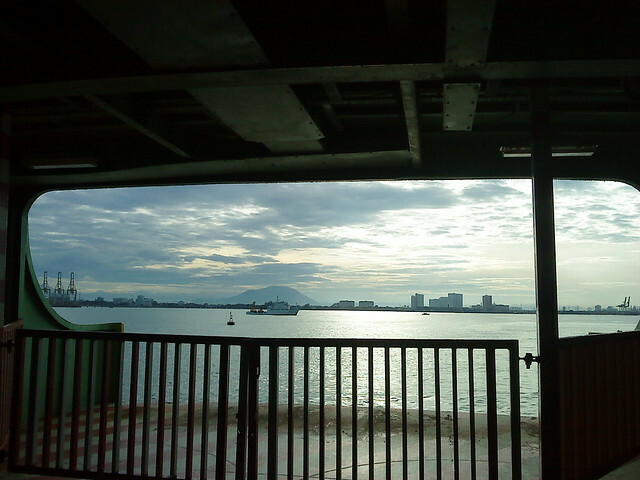 It's my first time travelling to Penang, alone. In fact I've never travelled anywhere on my own. The furthest was Kampar when I was on the way to KL then my friend got up quarterway. I was really excited about this trip and was planning it with my sister even before exams and I've been wanting to do it since the beginning of the year. Anyway, I took a bus to Butterworth at 10.45am this morning and the estimated time to get to Ferringhi was at 2.45pm. 4 hours should be more than enough. My dad and sister taught me how to get onto the ferry and which bus to take so off I went. It felt kind of weird when i got off the bus at Butterworth because I think I was actually waiting for someone and then realised there's no one with me and I could just head towards the ferry! 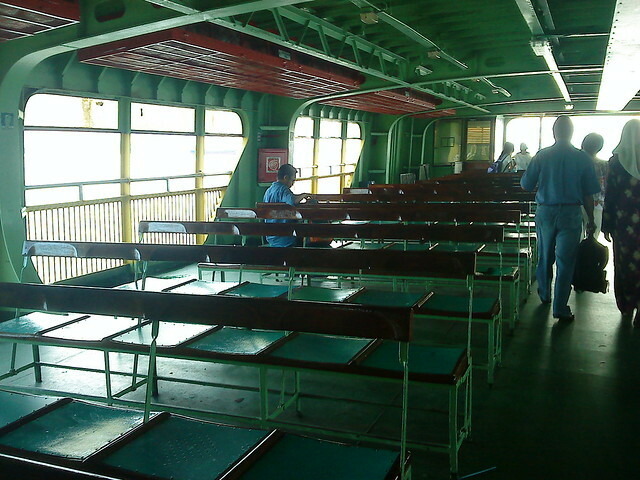 In the ferry. There were cars on left and right of which sister found it strange when I told her about it. 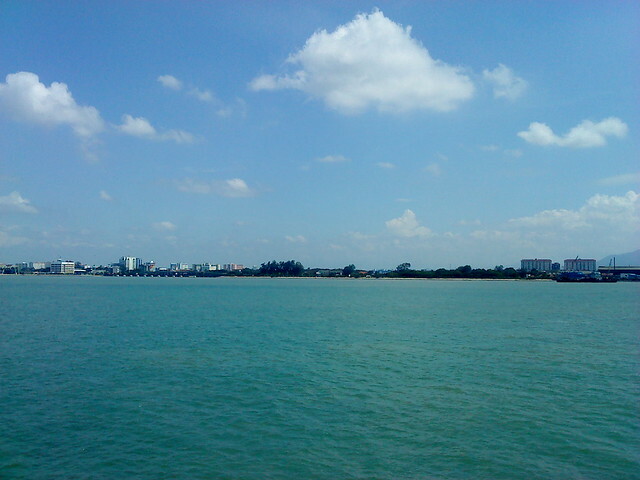 Taken from the ferry too. All went well till i got to the bus terminal to take the bus 101 to Ferringhi. There was no sight of it. Oh yeah, i met 2 ladies from Medan, helped them snap a picture and chat a little. After waiting for about 1 hour (or more), I took my sister's advice and got onto any bus heading towards Komtar to catch the 101 bus there. While the bus was stopping, I saw the 101 bus and by the time I got off, the bus had already left. Argh. Missed it. So I waited for another fifteen minutes. 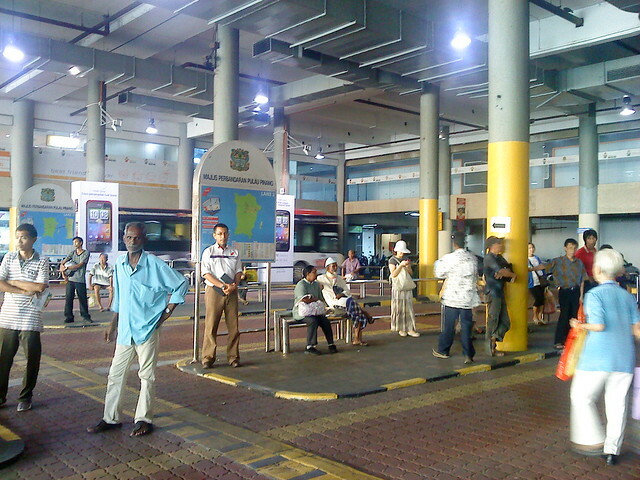 The bus terminal at Komtar. Met a Japanese couple who asked me a couple of questions. They were heading to Ferringhi too. I regret not asking them to prepare small change for the bus ticket cause i wasn't sure how much it was. The couple missed the bus that came after 15 minutes because they went to get a change of RM10 but there was a stack of RM1 in the man's hand. I could have suggested him to use those notes but i wasn't sure if he was reserving that for something else. Well i could have just asked but i felt there was language barrier as well so i failed to do so. I hope they didn't have to wait for very long for the next bus. So I got into the jam packed bus to Ferringhi at about 3.15pm and took me about an hour to get there. Stood all the way practising my balancing skills with some arm muscle training. Met 2 girls from Tazmania, Australia on the bus and talked a little too. That's what happens when you spend so much time waiting and getting on the road. You meet people. 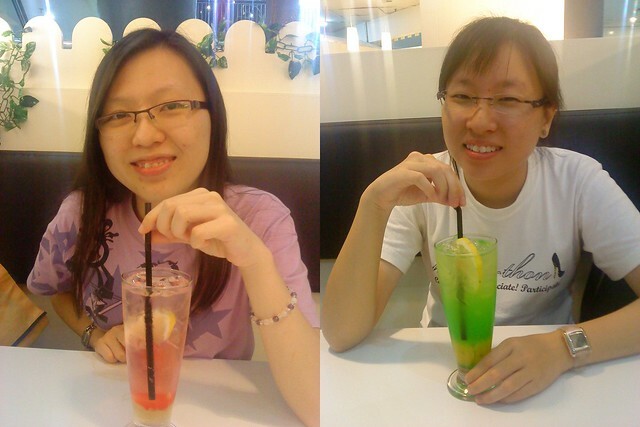 Finally met up with my sister after about 5.5 hours altogether !! 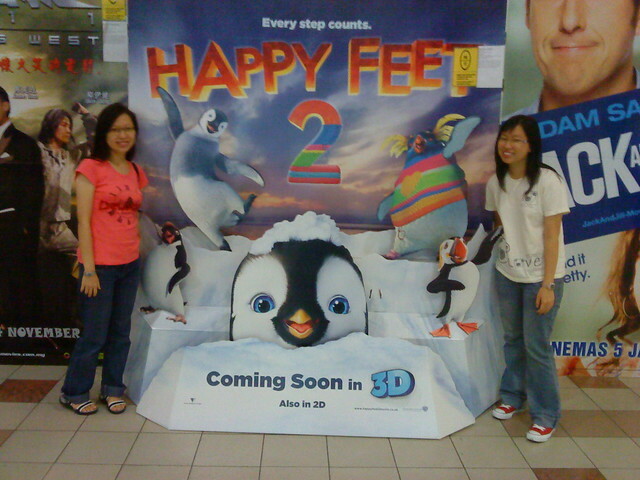 The highlight of my trip here was to watch Happy Feet 3D at 5.25pm. I'm not a huge fan of animations but this is a must watch because I love baby penguins !!! My hope was almost crushed as we were running really late. The bus to Gurney took a while to come and we only got off the bus at 5.25pm. Ran and speed walked towards Gurney Plaza and what more, we had to queue to buy the tickets when we were already running super late. I went to get a bottle of water and mashed potato while my sister got the tickets. And guess what? we got in just in time for the movie !!! It started right after we went in. The movie was actually 15 minutes. God is beyond awesome. Just when i thought, "Oh what a hard luck with the bus waiting and all today and now I'm gonna miss the movie that I was dying to watch!" and taraaa!! God showed me His awesomeness once again. I don't mean He's not awesome if I missed the movie. He's just so awesome in so many different ways. We didn't miss a second. The animation was really beautiful! It's definitely a good movie to watch in 3D and the baby penguins were super duper extremely indescribably cute !!!! My heart melts at the sight of Baby Erik and the sound of his cute little voice and his mother Gloria has an amazing voice! 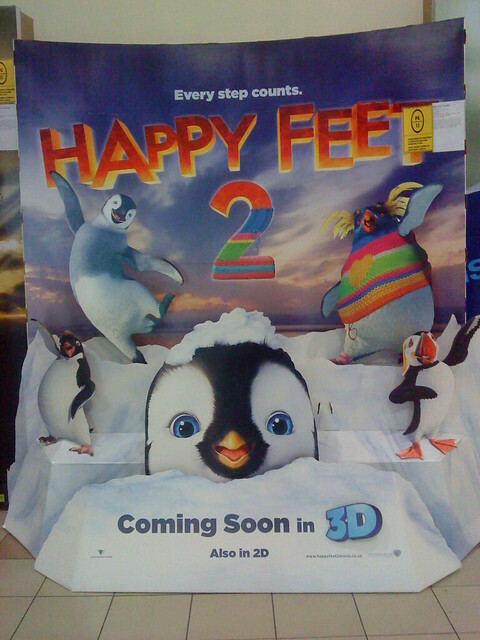 5 years ago, Happy Feet became my favourite animation and it still is. Even more now. Didn't seem complete if we didn't snap a picture with the poster so I got a stranger to help us do it. 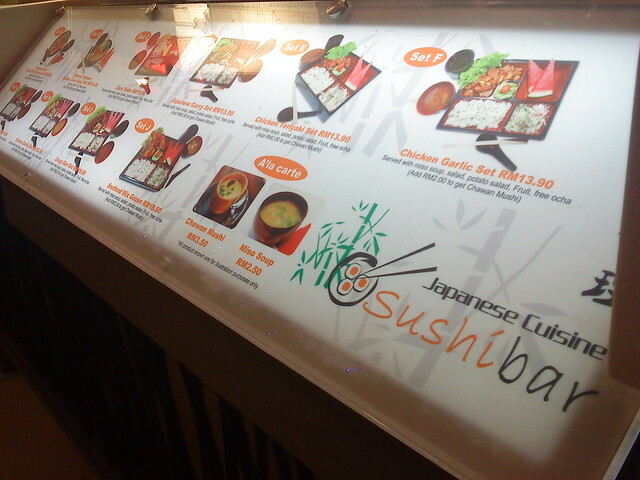 Next we went for dinner at Sushi Bar. 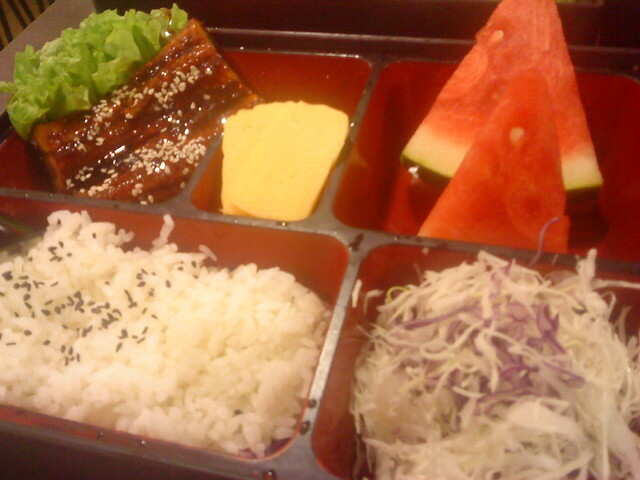 Sister spent me unagi bento set and it was tasty !!! 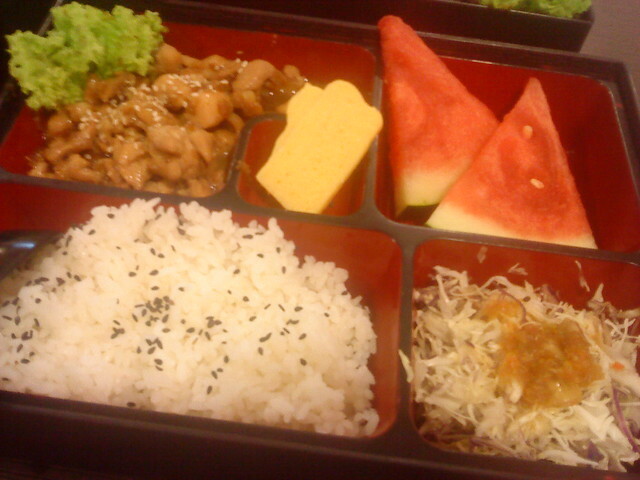 I think my liking towards Japanase food is increasing more and more but definitely not towards the raw stuff. After a long day on the road, I haven't had a proper meal since breakfast so it was a very satisfying meal. Skipping meals is so not me but I only managed to grab a chocolate bun for lunch. Walked around for a while and took a bus back here. Spotted this well furnished fitting room in Parkson. 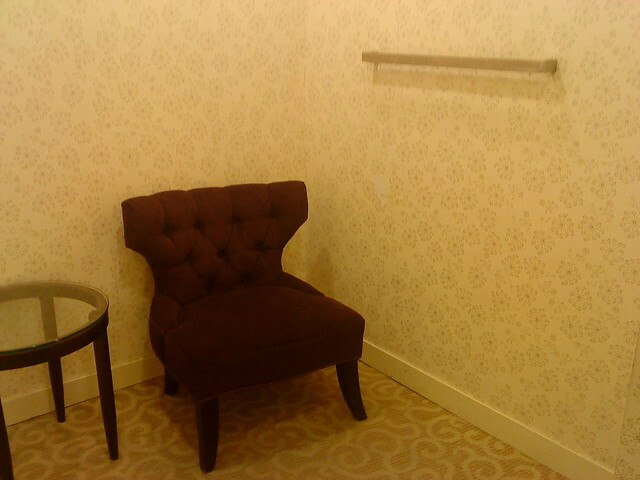 I wonder who would actually need the couch and coffee table in a fitting room. 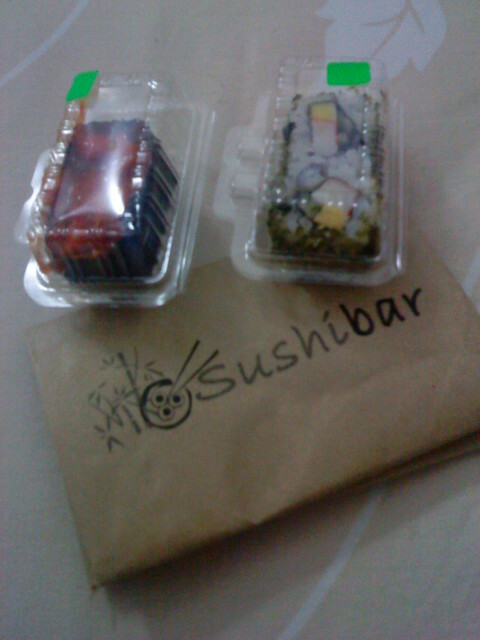 Cheap sushi from Sushibar at only RM1.50 each. We had it for supper. Amount of tickets used at the end of today. 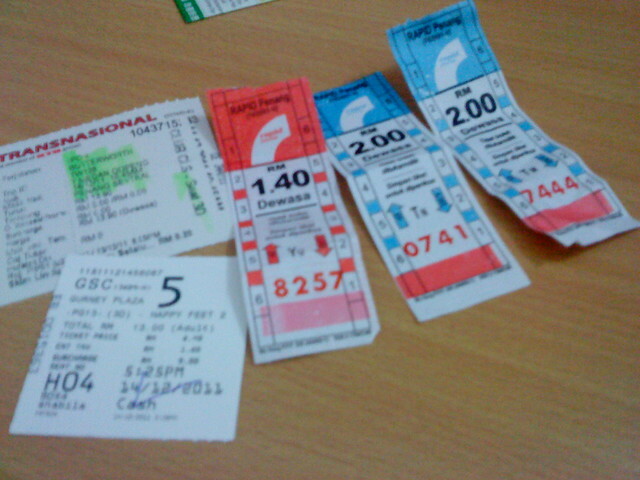 I lost one with "RM2.70" which took me to Ferrighi from Komtar. I guess that's the end of my day one journey. Felt like a waste getting here so late but it was a good experience. A lot of waiting, met people from 3 different countries within 4 hours. You know, there's something good in everything. You just need to recognise it. Tomorrow's gonna be better day. p/s. at the end of the day, 101 has become my most detested number. Woke up at about 8.00am, got ready and headed to the nearby mamak for maggi goreng at about 9.15am. Sister said it was really really good so gave it a try. Indeed, it's among the best. 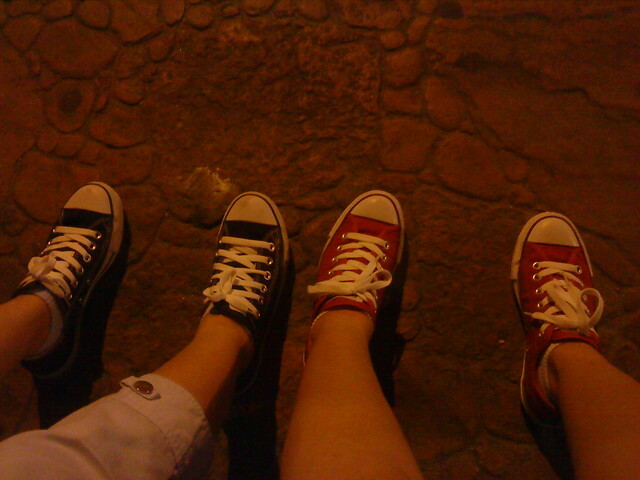 Then we went to the bus stop to catch a bus to Komtar to catch a bus to Ayer Hitam. It was day. 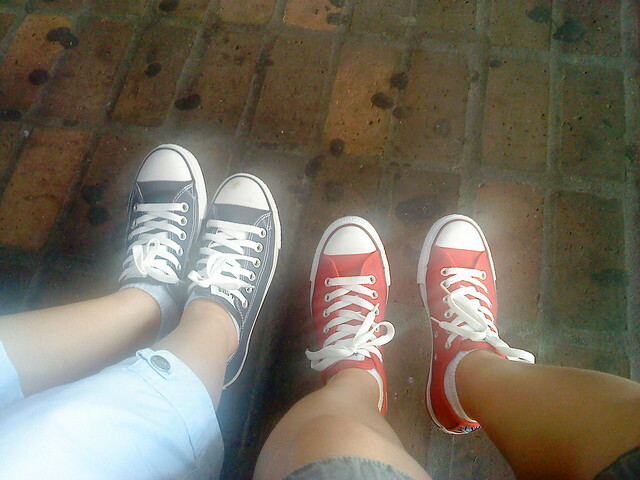 Our shoes looked like they were glowing in the light ! 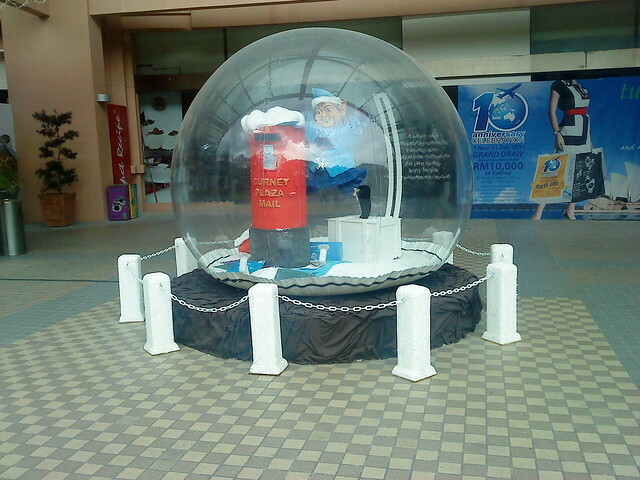 Met a Johorian at the Komtar bus terminal. He was going to Penang Hill with his family and i think our going to Aiyer Hitam made him want to go there too after Penang Hill. Took us about 2 hours to get to Ayer Hitam from Ferringhi. Wow..that was long ! Next we went to Prangin Mall. 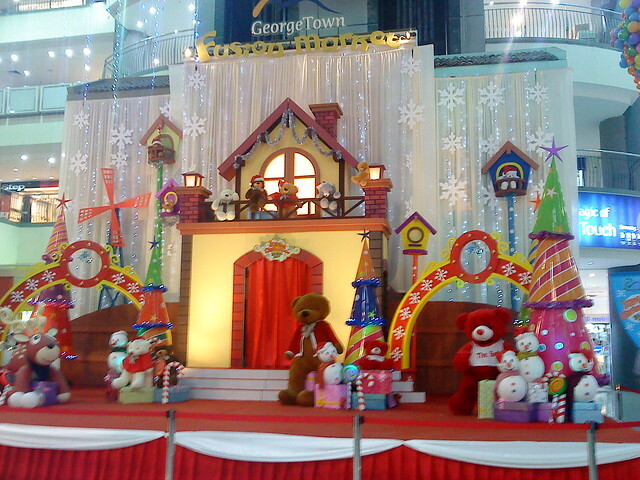 Christmas decoration in Prangin Mall. Sister ordered Mongolian chicken chop rice. 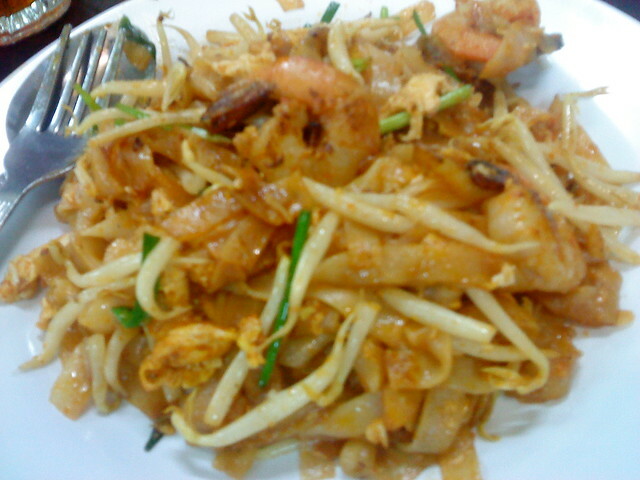 My Penang trip wouldn't be complete without eating Penang fried kuey teow. Spotted this at the food court. 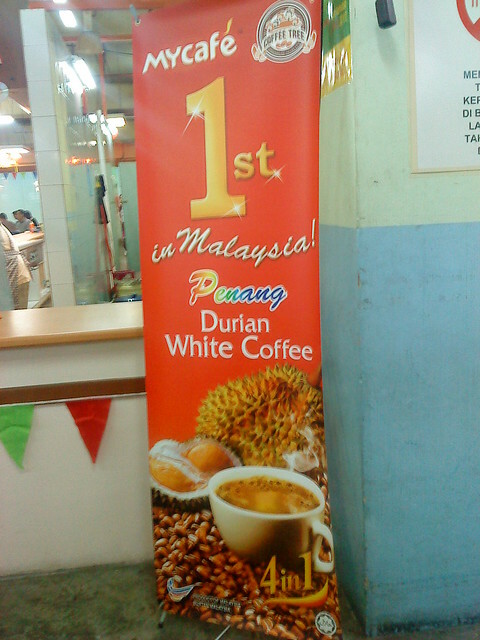 Looks interesting but I hate durians so, nah.. not interested. 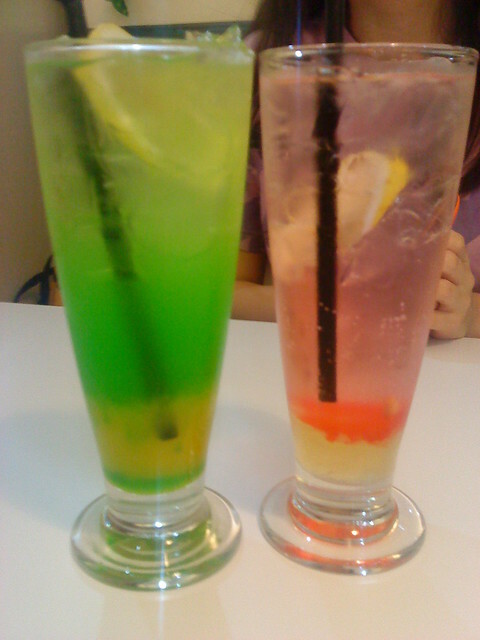 Mocktail Mango Tango and Italian Soda Red Volcano. Thirst quenching and refreshing. Stomachs full of gas after that. I went out in the morning with a backpack with only an umbrella and a bottle of water. By the time we left Prangin, it was almost full already. Yes, we shopped! 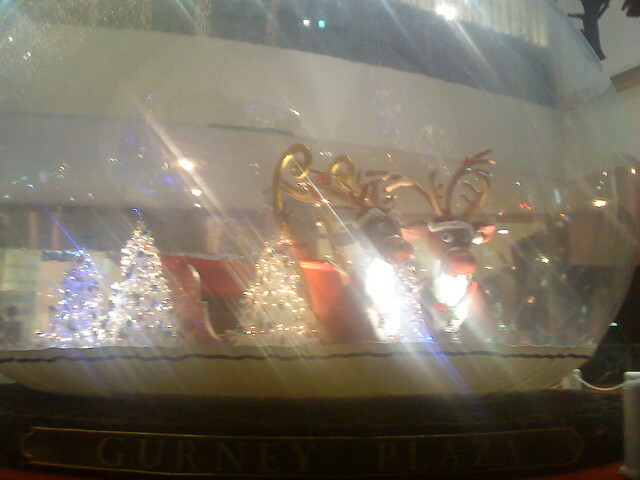 Next destination was Gurney Plaza. Yeah, again since we couldn't really walk around the day before due to time constraint. Christmas decoration at the new wing entrance. 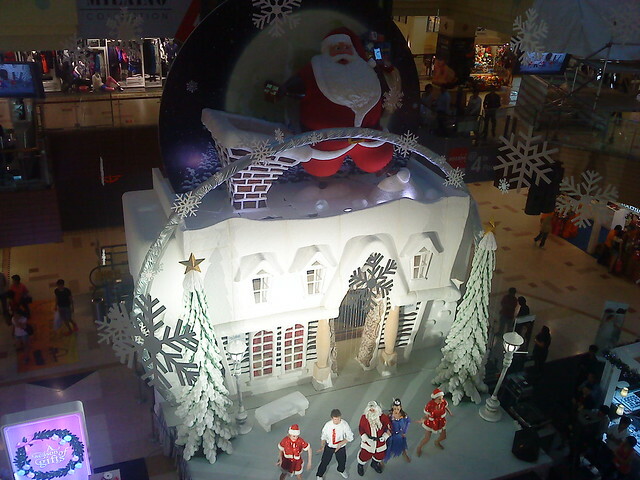 Christmas performance by some westerners. 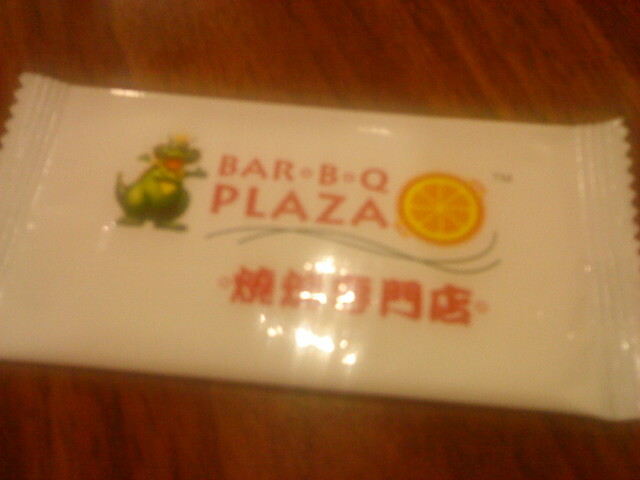 After filling up my bag with more stuffs, we settled for dinner in BarBQ Plaza. 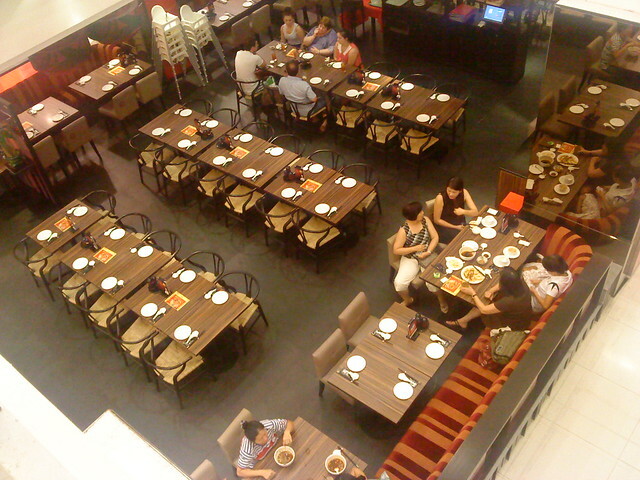 It's a Thai Restaurant. 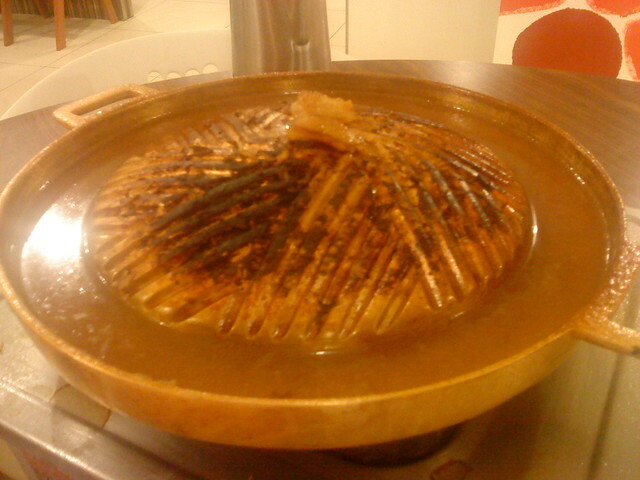 Its style of Barbecue is very much similar to the Korean one. 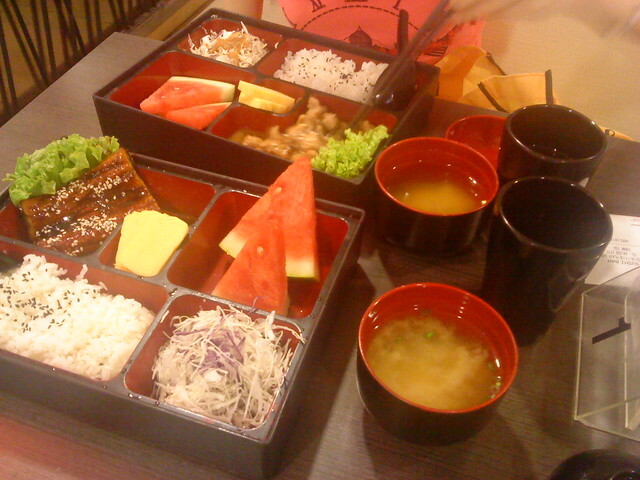 We ordered the economy set which costs RM20.90. The waitress said it was a one person's share. Glad we didn't take her advice and stuck to our order cause it was more than enough! 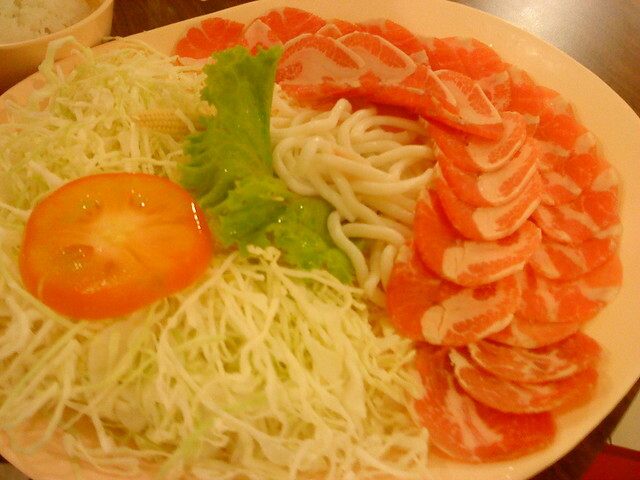 So much meat and so much cabbage with some udon noodles. 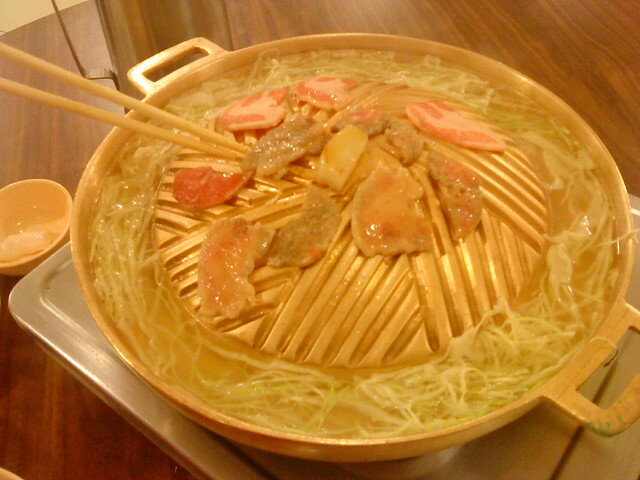 A piece of lard is placed in the middle of the grilling thing whereby the oil would flow down to be used to grill the meat. See the moat around it? It's for us to boil our own cabbage soup. 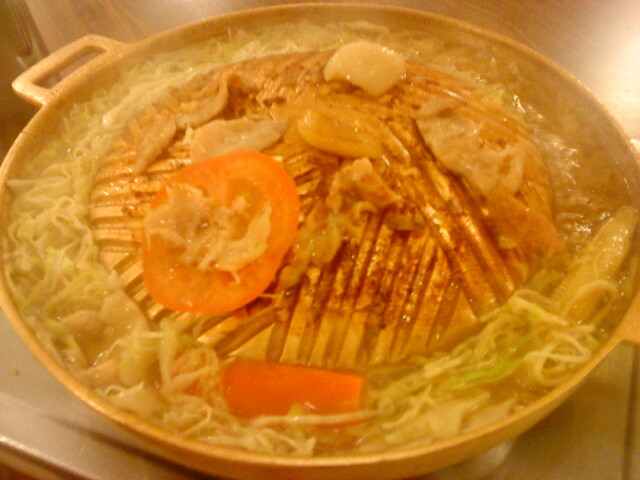 We grilled the tomato as well and the udon noodles. 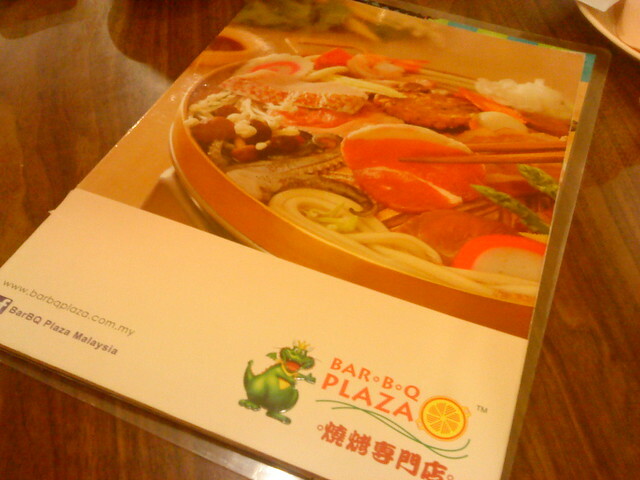 Oh yeah, their specialty is actually their special sauce which goes with the grilled meat really well. No picture of it though. 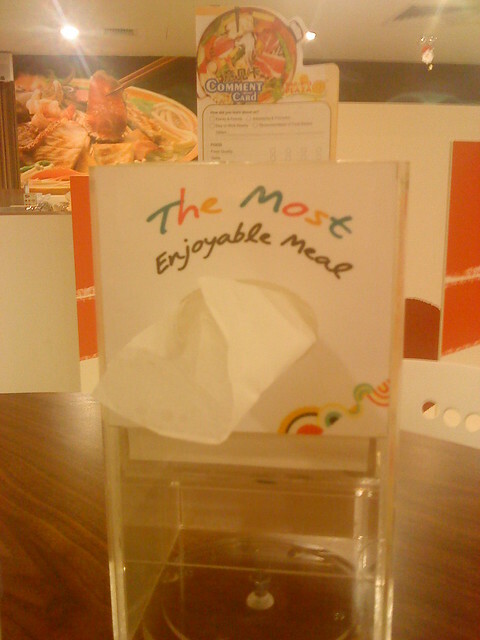 Indeed it was a very enjoyable meal. What's left after about an hour or more. Cute little pack of wet wipe. 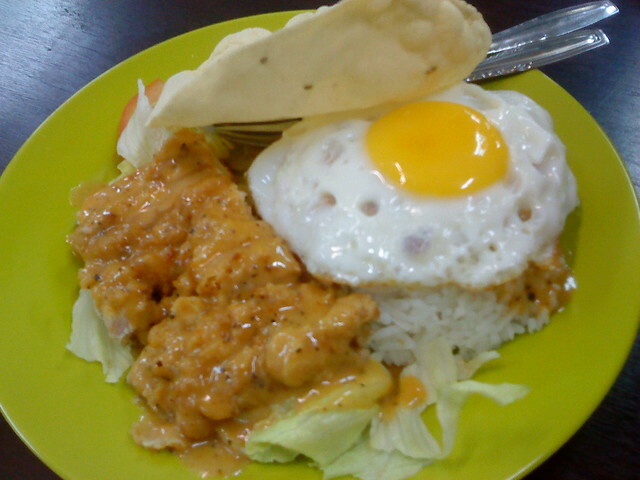 Window shopped a little bit more after dinner, bought egg sandwich for breakfast and left Gurney Plaza. On the way out. Poor nightmode function of my phone. Headed to the bus stop to catch a bus back to Ferringhi. 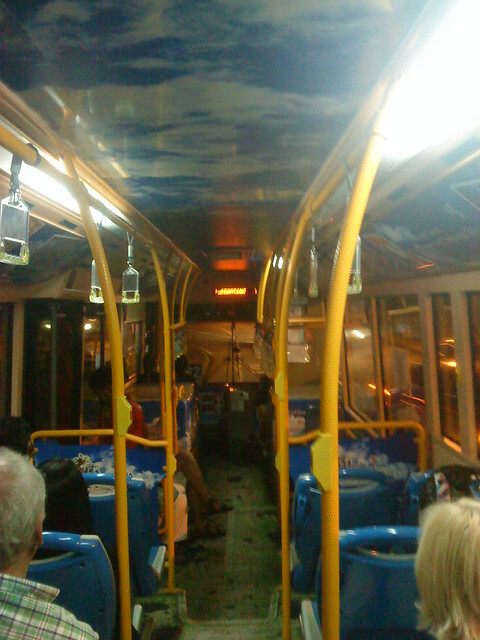 This is how the inside of the Rapid bus looks like. Spent the night calculating how much we spent throughout the day (calculating damages according to sister) spread out the things we bought. Least they were tangible stuffs compared to the things I spent on when I went to Genting 3 years back.. Spent quite a lot but oh well, only once in a while =) and it's almost impossible to not spend much in December - the month of Christmas. We slept at about 1.30am. Set alarm to wake up at 5.45am. Overslept and only got up at 7am when mom called !!! The bus which I was taking back to Ipoh was at 9am so we had to rush. Got ready and out to the bus stop at about 7.20am. Glad we bought our breakfast the night before so we ate it while waiting for the bus to come. 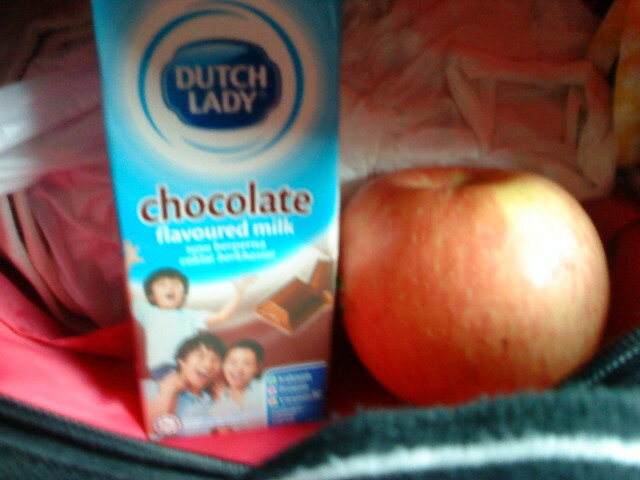 Chocolate milk and big red apple given by sister =) Looks very much like a healthy diet. 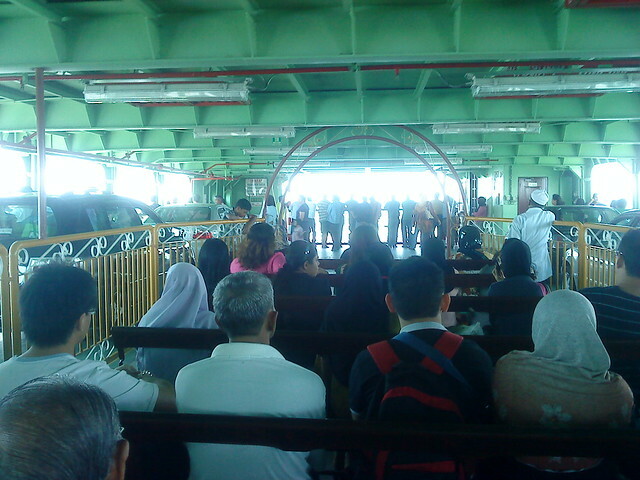 Boarded the ferry at about 8.35am. A different layout one this time with no cars on the same deck. Managed to got onto the bus just in time, 5 minutes before the bus left. The seat which I got was bad. It was a single seat at the second last row and someone was staring at me in a very obvious manner for I don't know what reason. I'm glad there was an empty seat 2 rows in front of where I was so I swapped seats. Reached Ipoh in less than 2 hours. 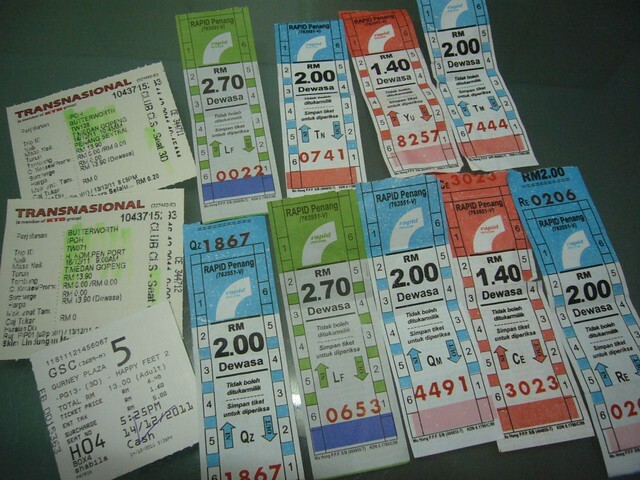 Almost all the tickets I collected from the trip. Must have dropped one or two somewhere though. Another lesson I learnt was to bring my charger with me next time cause I'll never know what would happen. I'd usually charge it full before going somewhere and 2 nights wouldn't be a problem for my phone to stay alive. Of all the days, when I wasn't able to charge my phone, that's when unexpected people would unexpectedly call me and I didn't realise a lot of it drained out while I was trying to upload the pictures into my sister's laptop on the first night but failed. That's why I didn't post it though i finished typing the post. In case you didn't realise, "day one" was typed on the first night in Penang while the rest is done here at home. I came back feeling really tired too cause I haven't been getting enough sleep. Time to pay my sleep debt soon. I guess that's all for now. Can't wait for my next solo trip to Penang again. p/s. Thank you chea chea for spending me for all the food and bus fares !! !